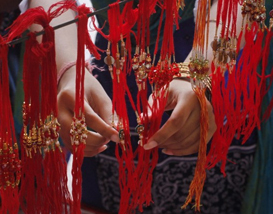 The festival is also known as Rakhi Purnima as it falls on the full moon day of the Hindu month 'Shravana'. The month of Shravana is the month of gods and pujans (worships) and the full moon day being the most important day of all. Rakhi Purnima is important in more than one way. Since, the festival is celebrated in many states, it is known with many names and rituals but the only thing that does not change is the prayer and pledge for the protection of siblings. 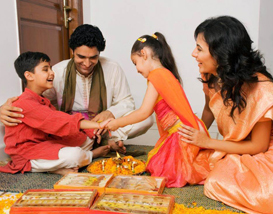 Different regions have different beliefs pertaining to Raksha Bandhan and follow different rituals. In the Western Ghats, rakhi is considered to be an offering to Lord Varuna - the Lord of the sea. Lord Varuna is offered Coconuts. On this day, coconuts are thrown into the sea as a ritual. 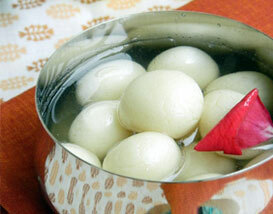 Here, the festival of Rakhi is known as Nariyal Purnima, and it is also marks the beginning of the fishing season. 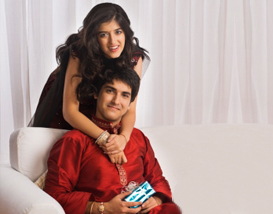 In South India, Raksha Bandhan is called Avani Avittam. The festival is important for Brahmins. They first take a holy bath and then change their holy thread (Janeyu) amid chanting the mantras. They take a pledge to perform the brahmanik duties as prescribed in the holy books and adopt a good conduct and dignity. The Janeyu is a representation of the vow for adherence to vedic culture, observance of Hindu traditions and service to humanity. The ceremony is called Shravani or Rishi Tarpan. All Brahmans celebrate it in the same way. Kajari Purnima is the name by which the festival of Rakhi is known in North India. The festival is celebrated when wheat and barley are sown in this region. Goddess Bhagwati is worshipped and farmers seek her blessings for a good crop. The name Baleva signifies the might of King Bali and his devotion to lord Vishnu and Goddess Laxmi. In Gujarat people offer water to the Shivalinga every Monday of the month. On Rakhi Purnima they offer water and pray to God for forgiveness. In one ceremony known as Pavitropana, a few twisted filaments of cotton are soaked in panchagaivya (mixture of cow's ghee, milk, curd, urine and excreta) and then fastened around a shivalinga. 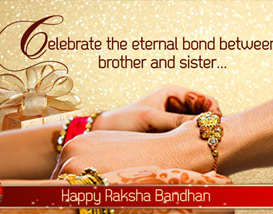 In Scriptures, Raksha Bandhan is described as 'Punya Pradayak' which means a day that bestows boons to the generous 'Vish Tarak' the destroyer of venom or the vicious 'Pap Nashak' the destroyer of sins.